The residential mix of architecture and lifestyles which resulted has produced the diversity that makes the Old Highland neighborhood today unique and vital, offering character and quality which fosters both progressive thinking and reverence for heritage. As you experience this tour, you will notice a pattern of strong community ties. Workers and business owners lived side-by-side and close to their places of work, making for a tight-knit neighborhood, and a community of people who were invested in Highland’s success. 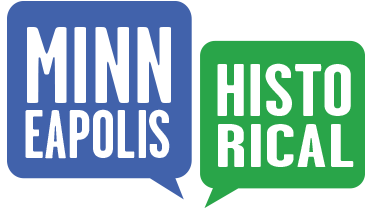 In 1986, Minneapolis Planning Supervisor Fred Neet completed a Local Heritage Preservation Designation Study of the Old Highland neighborhood for the Minneapolis Heritage Preservation Commission, carefully studying and investigating many of the structures and the community as a whole. This neighborhood has a tremendous amount of restoration done by hand by local residents. The group was informally led for many years by Charlie Nelson, an Old Highland resident who happened to also be the State of Minnesota historical architect. People like Charlie, his wife Angie Nelson, local resident and contractor Greg Rosenow, and many other homeowner/preservationists have put in many thousands of hours of sweat equity on their own and their neighbors' homes, working by hand with traditional methods, and contributing to the city of Minneapolis and enduring rich architectural heritage. The text of this tour will use architecturally-appropriate terms; "baluster" in place of "spindle," for example. The "north elevation" of a house vs. "north side." All wood-frame houses (? ); most on this tour relatively unaltered. Many have their original wooden tongue-in-groove porch floors; most are on their original limestone or patterned concrete block foundations. Old Highland Neighborhood Association, “Introduction,” Minneapolis Historical, accessed April 18, 2019, http://minneapolishistorical.org/items/show/40.